Look professional and present your promotional material in one of our high quality presentation folders. Our presentation folders are a thick 350gsm gloss artboard and can be printed CMYK on both front and back sides. 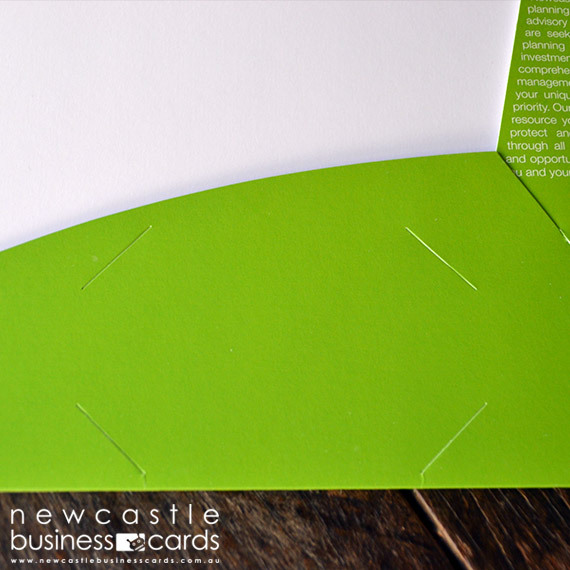 The presentation folders include an insert to fit a standard business card (90mm x 55mm). If you are considering our presentation folders, why not chat to one of our friendly staff. We also offer other presentation folder sizes to suit your requirements. Contact us for more information. If you wish to order presentation folder, you must use our template.